Lisbon is the capital city of Portugal, and it’s quite unique, geographically speaking, because it’s a hilly yet coastal city. The city is known for its throngs of pastel shaded buildings that bear a unique architectural charm that is all its own. If you step outside Lisbon, you’ll be met with a bunch of Atlantic beaches, such as Cascais. When you visit Lisbon, you should make sure that you’re staying in a luxury boutique hotel that accurately captures the unique spirit of the city. This list will help you narrow down your search. 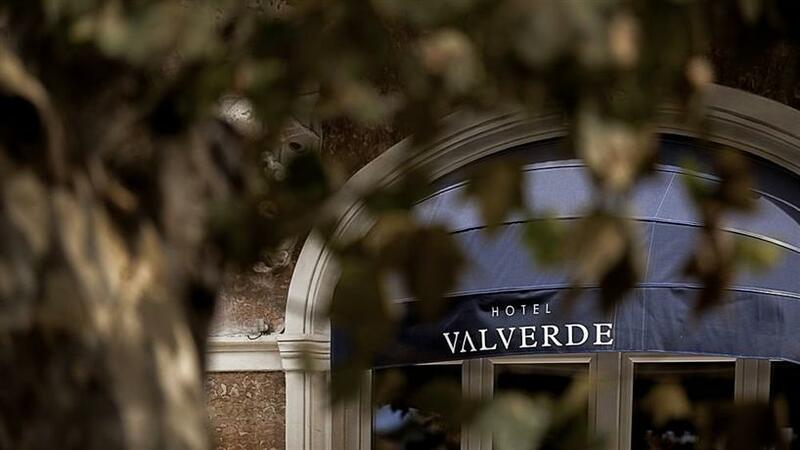 This luxury hotel is ten minutes away from the airport, and is quite centrally located. However, the prime shopping district isn’t in the immediate vicinity and you would need to walk to it. While the rooms of the hotel are sea facing, the view is hindered by blocks of buildings. However, if the view isn’t your priority, this is a great luxury hotel which emphasizes space and brightness. The floors, walls, furniture are all in pristine white, and there’s plenty of glass windows around so as to let natural light into the hotel. The hotel largely favors a modern and minimalist aesthetic. The rooftop terrace features a heated pool, with a poolside bar called UpScale. The ground floor also features a bar in the lobby called the Onyx Bar. The vibe of the hotel is quite chill and casual, and the guests have plenty of opportunity to mingle and network. 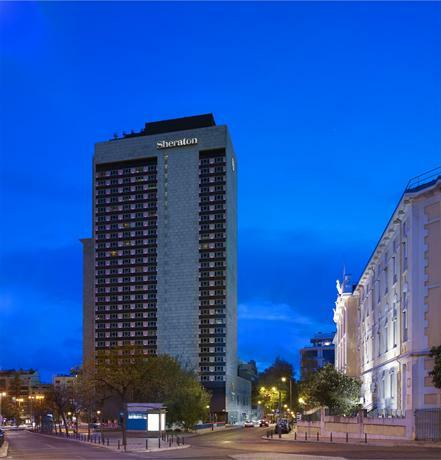 The hotel is also popular amongst business travelers as it has the largest conference hall in all of Lisbon, capable of accommodating 1300 individuals. There are 291 rooms, and they’re all sleek, and carry the aesthetic leaning of the rest of the hotel with white cushions and leather upholstery for all the furniture. The suites have bathrooms with both a bathtub and a separate shower. In stark contrast to the previous hotel in the list, this luxury five star hotel is known for its brilliant view. It’s located over a hill facing the river, and as you look out the windows, you can view one of Lisbon’s most beautiful and charming neighborhoods replete with turrets and spires painted in lovely pastel shades, with creepers winding round them, and a bunch of other pretty mansions as well. All of these beautiful structures form a lovely skyline to offset the majesty of the beautiful sea. This hotel has been established on a building which was built way back in the 19th century and that sense of history and antiquity makes for a distinctive charm of the hotel. There’s a quietly royal charm about the place that almost feels anachronistic in the modern era. All the rooms bear floor to ceiling windows from which you can look out at the blue skies melting away into the glittering seas. The rooms in the seventh floor are the best in the hotel with lovely private terraces. Until recently the hotel was under the ownership of the Orient Express, and it has recently been taken over by Olissippo. This has been a remarkable change for the hotel because now it’s allowed to luxuriate in its antiquity while still bearing all modern conveniences. 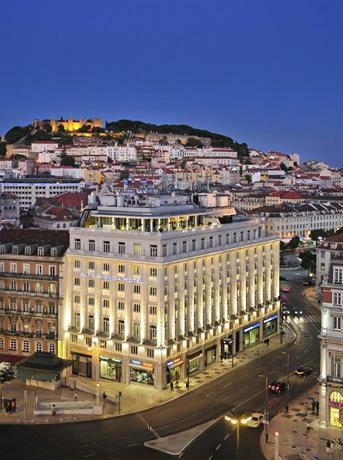 This luxury five star hotel is one of the most well connected hotels in all of Lisbon. It’s 15 minutes away from the airport, and it’s situated within the business district of the city, thus making it perfect for business travelers. Some of the sights to visit in the vicinity are Eduardo VII Park, and Corte Ingles, which is Lisbon’s most famous boutique store. If you’re a fan of historical monuments and you want to spend a day or two exploring the historical architecture of the city, you can go to downtown Lisbon, which is just ten minutes away by car. One of the areas in which the hotel doesn’t fare well is its exterior design. It looks utterly unremarkable from the outside with a concrete design. However, the interiors more than make up for it with lovely glass and shiny black marble installments. As such, the entire hotel feels bathed in natural light. There are 369 rooms in the hotel, and all of them come equipped with work desks and LCD TVs. The bathrooms are sleek with black marble designs. However, the bathroom and the bedroom are separated only by a glass door, and as such it’s not the best option for families with kids, or people in need of privacy. The Club rooms, on the upper floors of the hotel, have access to the club lounge and complimentary drinks as well. If you check into one of the ten executive suites, you can find yourself in rooms twice as large as the standard rooms, and you get a sweeping panoramic view of the city. 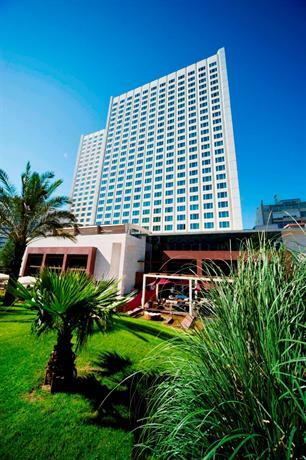 Tivoli Lisboa is a luxury five star hotel located 15 minutes from the airport. It’s located in one of the prime locations of the city as it’s surrounded by some truly wonderful boutique stores and shops. You are also well within walking distance of the city’s financial district, and you can also view many of the famous tourist attractions such as the Neo-Manueline. The aesthetic imbibed by the hotel is really a fusion of several stylistic elements across time and place. 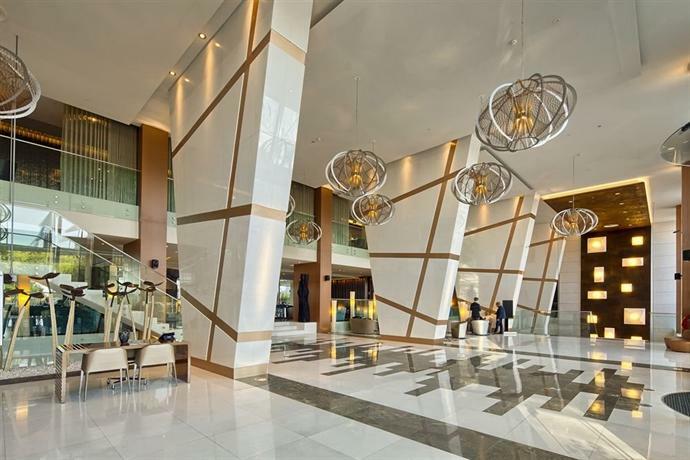 The lobby is sleek and modernist with its low ceilings, and quirky modern works of art. The Sky Bar has an early 21st century aesthetic, and it provides a sweeping panoramic view of the city skyline, and even the Tagus River beyond. The hotel features a round swimming pool surrounded by a lush green garden, and as such even in the midst of the city it feels like you’re surrounded by nature. 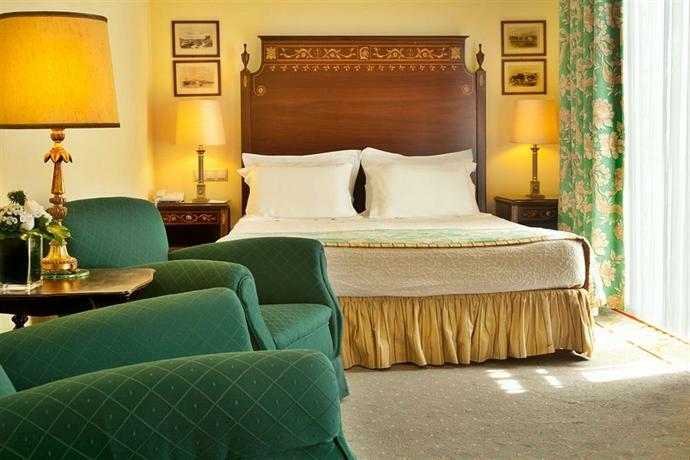 The rooms are all made in a similar size, and they carry an elegant classical aesthetic style. In addition to the hotel’s features, this luxury hotel also has a lot of national relevance, considering the fact that one of the nation’s most iconic actresses — Beatriz Costa — resided in it for 30 years. If you’d like to spend the day in the hotel, you can eat at any one of the three restaurants, one of which even features a tap dancer and an accordion player every Saturday evening. Other amenities include a gym, and a spa. If you’d like you can also arrange to get a relaxing massage in a cabana by the pool. The Corinthia Hotel is located a few miles away from the airport, and being in the north-western part of the city, it’s close to the Lisbon Zoo, and a few minutes walk from the Gulbenkian Museum, which houses a wide range of artworks across all ages. As such, this is definitely one of the neighborhoods boasting more culture and historical heritage. The Corinthia usually hosts business travelers, and as such their service is supremely efficient. Their clientele would settle for nothing short of luxury, and they deliver luxury in heaps. For example, the lobbies and the hallways seem like they positively sparkle with vibrance and the gleam of the chandeliers. The rooms are designed in muted corporate-friendly shades, with minimalist black and white photographs gracing the walls. The rooms are also well supplied with a Nespresso Machine, and even a Jasmine and Cedarwood collection. If you book one of the more expensive suites, you also get access to the Executive Club on the top floor of the hotel, wherein you can avail of complimentary cocktails and a buffet breakfast. If you haven’t booked one of the executive rooms, you can still access the Club, for an entrance fee. In addition to these, the hotel also features a jacuzzi, steam bath, spa, gym, and all other amenities you could ask for in a luxury hotel. There are 518 rooms across several categories, however all of them boast a magnificent view with floor to ceiling windows. The bathrooms are marble tiled, and they have both a shower and a separate bath. 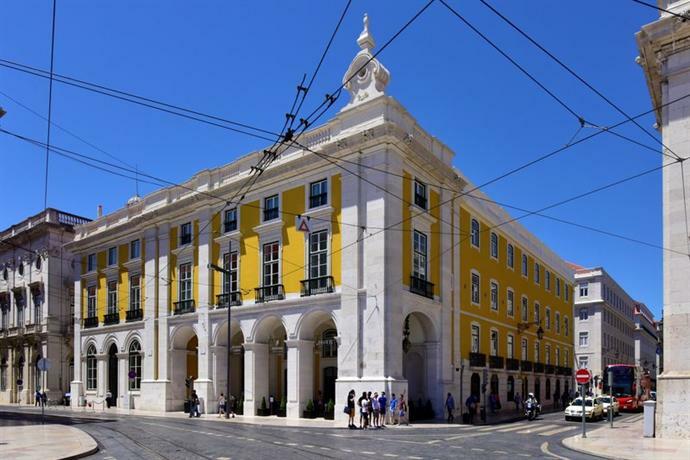 This luxury five star hotel is situated near the prime located of Avenida de Liberdade, and as such you can largely avoid the traffic problem that plagues the rest of Lisbon due to its narrow streets. You also have easy accessibility to the Gulbenkian Art Museum, if fine art is something you care for. While the hotel doesn’t offer a sea-view, it’s still quite lovely in its own rights. Depending on your room, you can look out at the Eduardo VII Park, or the streets in the immediate vicinity. The interiors of the hotel spares no extravaganza. The lobby is made entirely of marble, and the public spaces are lavished with chandeliers, gilded furniture, thick pillars, and large colorful floral displays. The hotel is also very artistic and features sculptures and paintings from local artists. This charming boutique hotel is quite far from the Faro airport, an hour to be precise. However, it’s all worth it because the hotel is within walking distance of a pretty picturesque town on the beaches of Praia de Luz. The town boasts cobblestone pavements like the medieval times. The hotel maintains a very airy and bright aesthetic with pale wood, orange, lime, and a brownish-red color palette. There are only 15 rooms in the hotel and as such it feels very intimate, and all of them have floorboard heating, and lovely terraces with an expansive view of the sea. 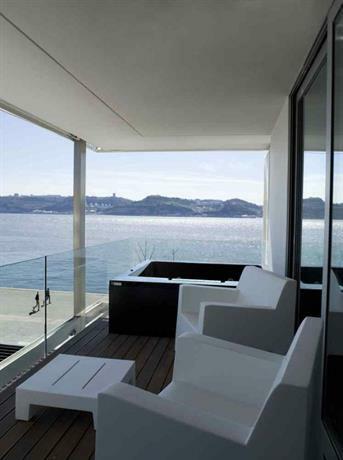 This hotel may have you fooled by the name, because this luxury hotel isn’t near a bay, and is certainly not in Porto. However, it is smack right in the middle of Lisbon, and as such it’s very well connected. It’s located on Avenida da Liberdade, which is the most popular and central location in all of Lisbon. The lobby of the hotel feels like a Madeira vacation with chic white leather couches and grain barrels. However, the rooms are a slight disappointment. They’re clean, efficient, feature monochrome photos, and allow plenty of light, but they’re also quite boring and don’t carry any of the charm that is seen in the public spaces of the hotel. Perhaps it’s a trick to get you out of your hotel room? 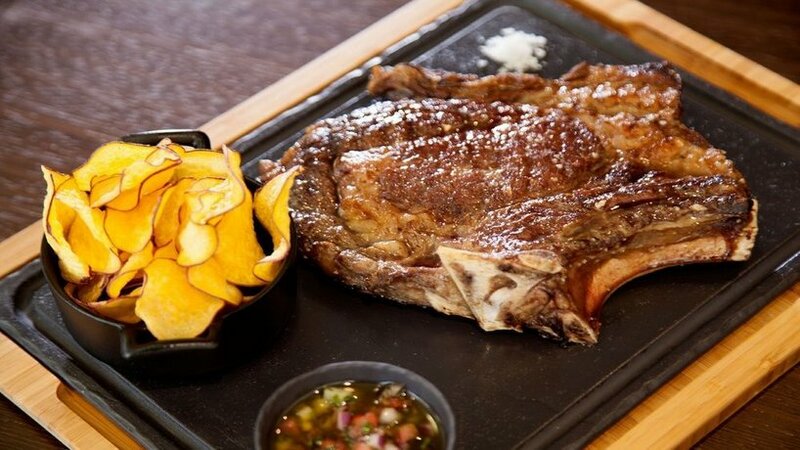 This boutique hotel is located in Belém, and is quite far from the city center and the Tagus River. The airport is even further away, 9 miles to be precise, and is on the other side of the city. As such, this hotel is not very well connected at all and should only be ventured into by people looking for some peace and quiet. The hotel features a crisp, efficient, black and white color palette with strong geometric designs. The lobby features black marble floors with white leather couches, while the bathrooms are pristine white marble with black toilet paper. If a monochrome world is where you’re comfortable this hotel is perfect for you. However, if you need more vibrancy from your surroundings, this will not do well at all. 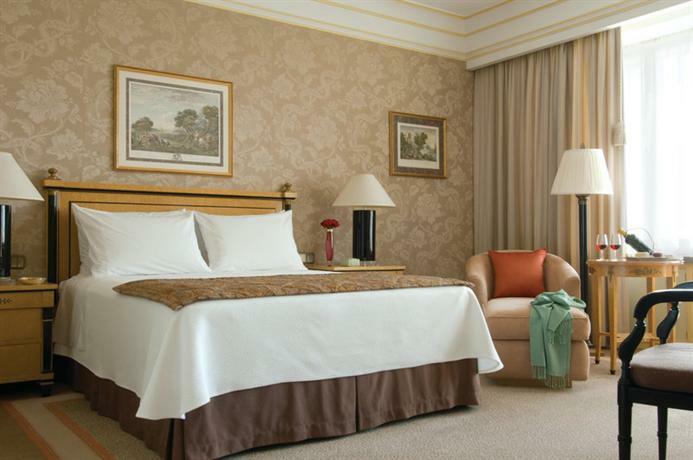 This luxury hotel is located in Avenida Liberdade, and it offers a view of St George’s Castle. 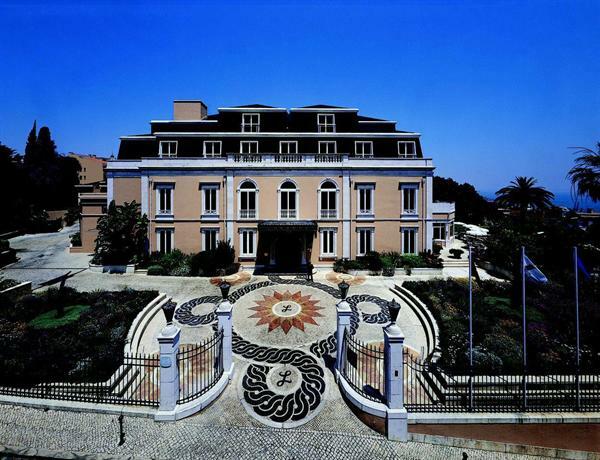 This is Lisbon’s oldest five star hotel, having been built in 1892. The lobby features stained glass designs which allows colorful light into the hotel, the walls are lavished with red wallpapers, and the furniture bears gilded designs. As such the hotel has been designed in a manner that borrows heavily from its late 19th century heritage. If you’re someone who loves a good night out, if you love visiting bars and pubs late at nights, then this is the perfectly located hotel for you. 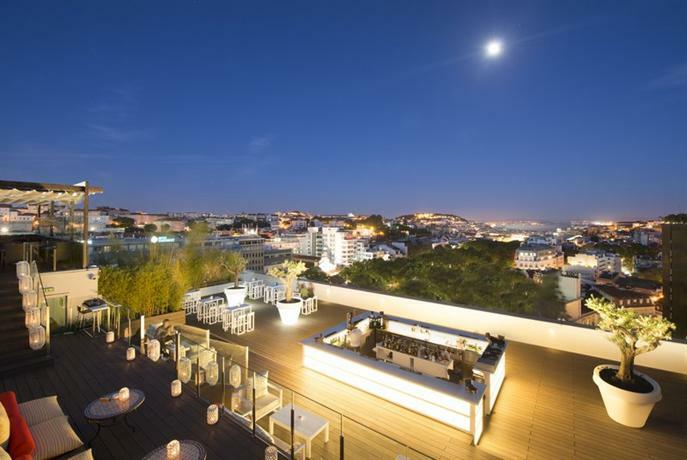 It’s located in a corner of Bairro Alto, which is the most buzzing and vibrant part of the city. The hotel is located just far enough so that the guests aren’t disturbed by the noises, however the bars are well within walking distance if you so choose. Even the aesthetic sense of the hotel is similarly bold with a yellow exterior that melts into a gold and black color palette in the lobby and public areas. If you’re a history buff, then you’re sure to love this hotel as it’s located right in the center of the historical life of the city of Lisbon. The interiors and architectural design of the hotel has been managed well by the architect. Stylistically, the hotel feels entirely like it belongs in the pages of history, untouched by time, yet the architect has been able to bring in modern conveniences without detracting from the historical value of the structure. The walls have been graced by works of art taken from the art museums of Lisbon. 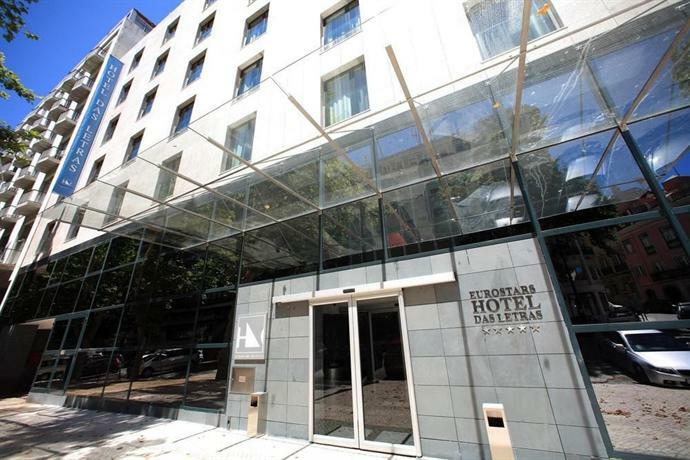 This hotel is located just around the corner of the prime location of Avenida da Liberdade, and it’s just 10 minutes from the airport. This boutique hotel is most known for its eccentric charms. The lobby has been made with marble floors, and a red and black color palette. Meanwhile, the light fixtures have been designed in the stylings of flower petals, with the buds forming the light source. The walls of the lobby are lined with bookshelves holding literary texts in several different languages. 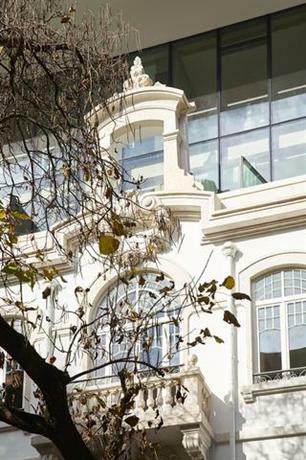 This luxury hotel is situated in the Marques de Pombal Square, and the Jardim Amália Rodrigues park lies close to the hotel. The lobby has been designed in a blue marine aesthetic with slight gold and wood accents. The bedrooms have been designed in a contemporary style, allowing plenty of natural light in. It has only been recently taken over by the InterContinental, and as such they’re still in the process of revamping the hotel so as to make it more technologically accessible. 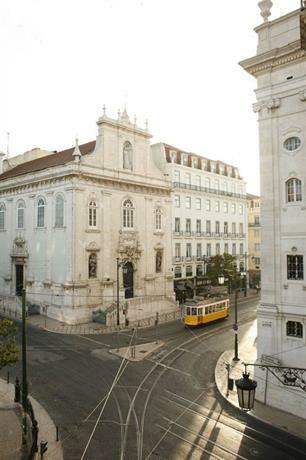 This boutique hotel is opposite the Rossio train station, and it’s located in the heart of historical Lisbon, yet surrounded by boutique shops and charming cafes. The interiors of the hotel try and carry a glamorous 1940s aesthetic with the use of black polished marble, mirrors, and a lot of gold accents. The hotel is spread across 6 floors, and features 70 rooms in all. If you get one of the 16 deluxe rooms, you also get your own balcony from which to look out at the city.